SWF file is a file format which is used by Adobe to play flash files, videos, and vector-based animations. SWF file is also used as a game file. SWF stands for Small Web Format. It is also known Shockwave Flash Movie, that is created by the Adobe and this format can contain interactive text and animations. 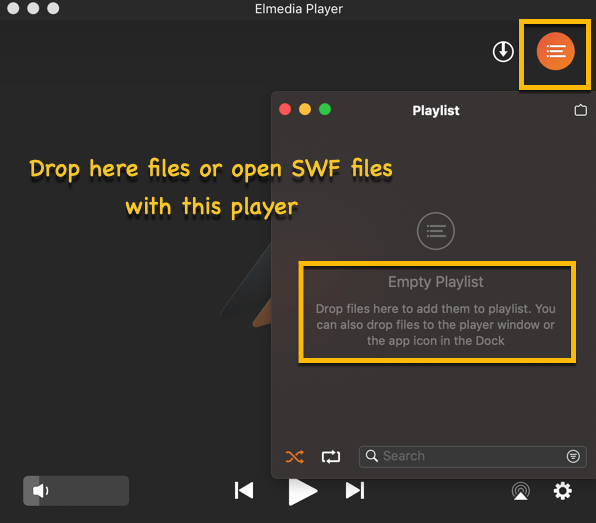 Let’s go ahead and know how to open SWF File in our System (Windows & Mac OS) using SWF Player. Currently, no browser and windows have built-in SWF player, so you can not directly open it. But, there are many ways to open and run the SWF File. All these methods or ways are so simple that anyone can do this without much technical info. So, if you have SWF file on your system, and want to play it, just read the article till the end and get the best possible and easy ways to open and play an SWF File. Let’s start. 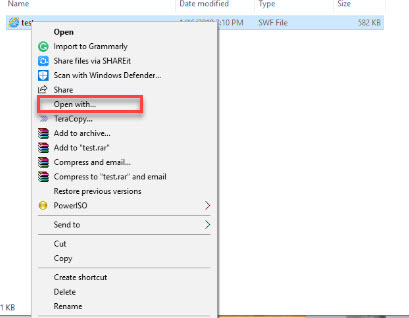 The simplest and fastest method to open your SWF file online for the Computer is opening it by using your browser. Chrome, Internet Explorer, or Firefox all of the browsers are supporting the SWF files format. if you are using Adobe Flash Player Browsers like Firefox, Internet Explorer, then you can easily open or play an SWF file with these browsers irrespective of the OS you are using on your System. So, we can say this method will gonna work on both Windows and Mac OS. Step 1. First open any browser on your Computer, for e.g. Internet Explorer. Step 2. Now, simply drag and drop a .swf file to the browser window, you prefer. 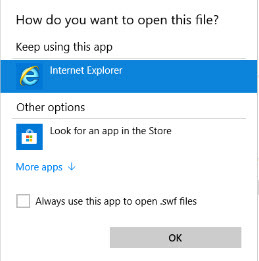 OR, Open the SWF File with Internet Explorer. For this, right click on the SWF file and open it with ‘Internet Explorer” or any other browser supporting Adobe flash player. Step 3. As you release the file on the selected browser or open with the browser, you will see that it will automatically start to play the Shockwave Flash object. The browser is not having the right Adobe Flash Player plugin installed. Try to download the latest version of a browser and reinstall the Flash extension. 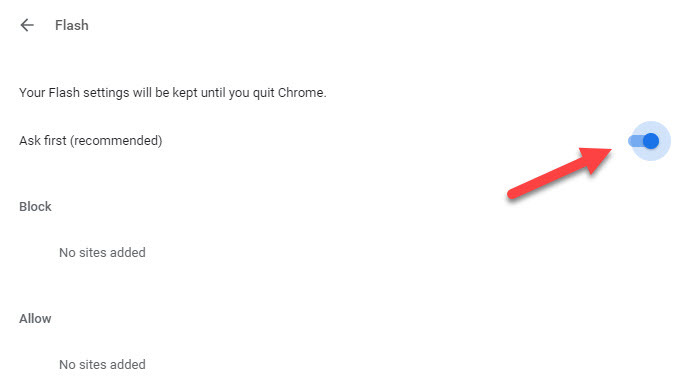 OR, in case of Chrome browser, Adobe Flash Player might have been disabled by default. To enable Adobe Flash Player, simply visit: chrome://settings/content/flash URL on your Chrome Browser and enable the Flash player with Ask First(Recommended). That’s all. Now you can enjoy your SWF files. If you are still facing any problem in opening of playing SWF files using this method let us know in comments. 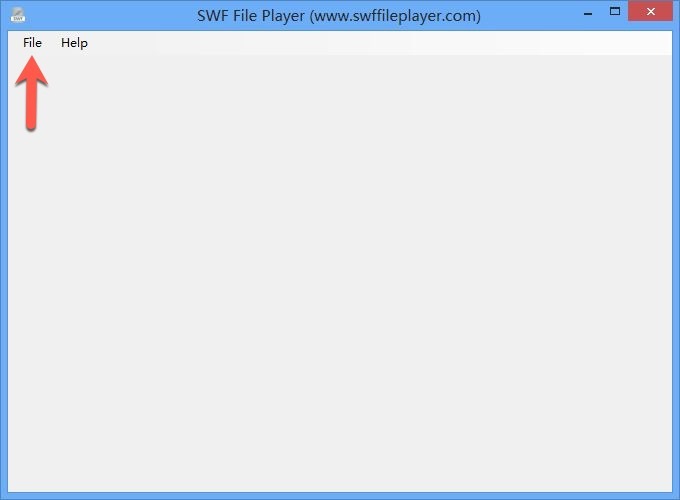 SWFFilePlayer is complete freeware tool for SWF (Shockwave Flash) files. You can quickly open and play SWF files as well as some Games files using this tool and also resize the window of the player while playing SWF content. Step 1: First Visit Here: SWFFilePlayer and download & install this tool on your computer System. Step 2: Open this tool and click on ‘File’ menu –> then click on ‘open’. A Dialog box will get open, just navigate to the location of the SWF file and click on ‘Open’. Step 3: This software will show you the Metadata Tags for that opened file, Click on the ‘Play’ button at the bottom-right of the box. Voilla! Enjoy your SWF content. Additional Tip: You can toggle to the full-screen mode using F11 Hotkey. 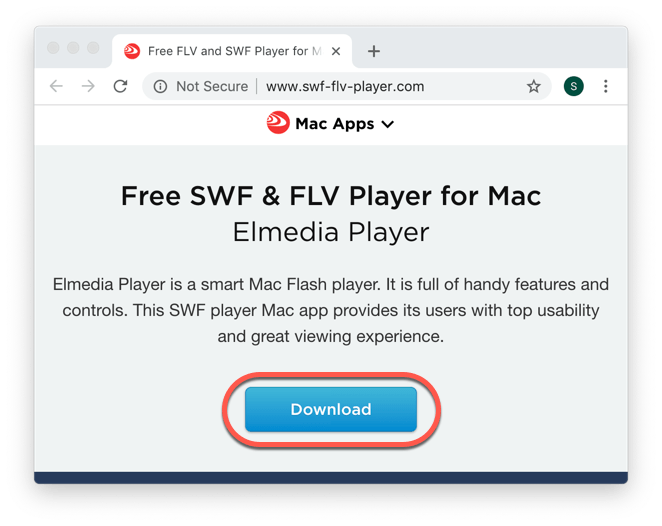 Elmedia Player is a Free and smart Mac Flash Player. So, if you are a Mac user and want a free tool to open and play SWF File, this is the best tool for you. It is full of great features so that you can get an awesome viewing experience. Let’s see how to use it on Mac. Step 1: First Visit Here: Elmedia Flash Player and download & install this on your Mac. Step 3: Once you have added the file, click on Play icon and Enjoy your SWF File Movie or Game. Here we learn the best methods to open SWF File on both Windows and Mac OS. Fastest and easiest way by using Browers. If you want a separate tool that will also be having additional features for such type of file, you can refer Method 2 and Method 3, as per your System OS. If you are facing any problem in implementing any of the methods or have any more questions, related to this article, don’t forget to mention in the comment box below. Thanks.